Ryan and Sam Weber left their Baltimore, MD home one night as teenagers, with the aim of meeting their idol, rockabilly legend Ronnie Hawkins, and ten hours later showed up at his doorstep. “The Hawk”, the elder statesman of rock whose former protégés (Robbie Robertson, Rick Danko, Levon Helm, et al.) went on to reshape music history as “The Band”, was duly impressed by the pair’s immense raw talent, and promptly invited them to audition for his storied backing band, The Hawks. Mere months later, after surviving the intense musical apprenticeship of his fabled “Rock ‘n’ Roll Bootcamp,” they were in: full-blooded Hawks. By the ages of 18 and 21 they had already performed alongside Kris Kristofferson, Levon Helm, Garth Hudson, Jeff Healey and the Tragically Hip to name a few. Between their renowned musical ability, high-energy, awe-inspiring performances and lessons learned first hand from rock n’ roll pioneers, a reputation as the “baddest band in the land”, “heroes of this generation” and “the future in the big shoes of the past” now precedes them. 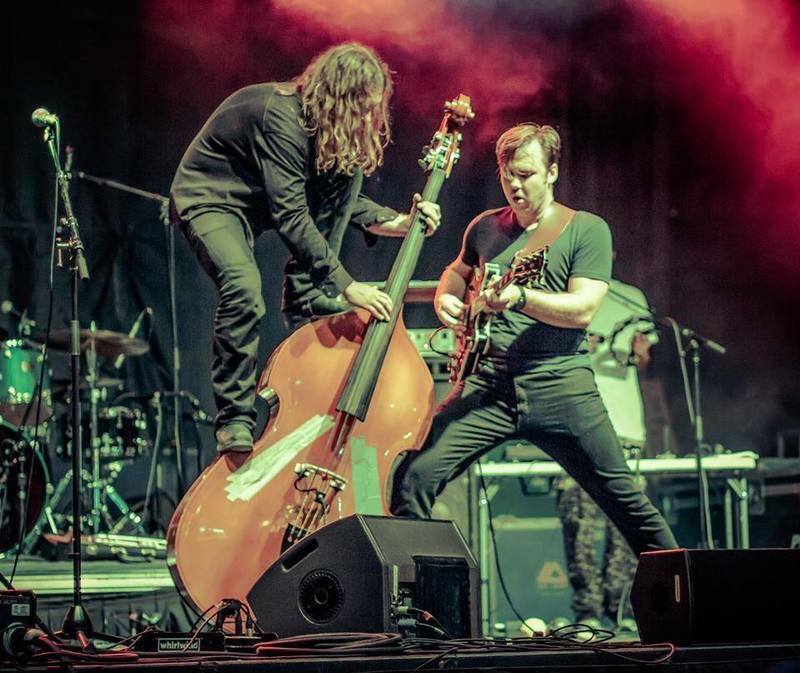 Whether it be their unrivaled power as a full rock band, or their undeniable chemistry highlighted in a head-to-head duo performance, The Weber Brothers always deliver.